A Business Motivation Model provides business enterprises a set of notations for forming business plans. It models what the enterprise wishes to achieve, how to achieve, potential impacts, resources and etc. 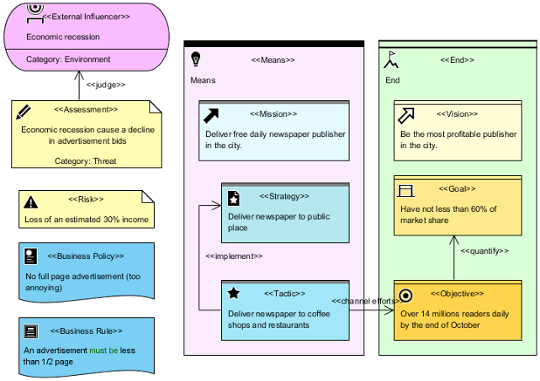 In the New Diagram window, select Business Motivation Model Diagram.